‘Neonicitinoid’ is more than a difficult word to roll your tongue around. The neonicitinoids are a class of neuro-active insecticides that came into widespread use in the late nineties. They are now at the heart of a debate that again pits environmentalists and the chemical industry into a war on the battlefield of science. This time over what is killing bees. There is no doubt that something is dramatically dislocating the insect world. The recent collapses of bee colonies all over the world has brought this issue into the headlines because of their economic importance as pollinators. But I remember when to drive anywhere in the countryside on a summer evening would require vigorous post-trip cleaning of dead insects from windshields and headlights afterwards. This no longer happens. Why remains a mystery. Nicotine is a known insecticide. But it is toxic to mammals. This prevented its use an insecticide so scientists went looking for a way to keep its insecticidal properties with less effect on mammals. An important driver of this search for commercially viable nicotine derivatives was the need to find pesticides that were safer for human beings to use. In this respect, the neonicitinoids have considerable advantages over the organophosphates they replaced. This effort eventually resulted in the production of the first commercial neonicitinoid, imidacloprid, by Bayer. It came into use in the late nineties and is now the world’s most widely used insecticide. It has since been joined by at least six other neonicitinoid products. Initially uncontroversial, over the last decade they have taken on an ever higher profile as research into their impacts on birds, aquatic invertebrates and other wildlife has leaked out of the journals into the debate on public policy. The controversy reached a new peak this year. In March, the American Bird Conservancy published a review of 200 studies of neonicitinoids calling for a ban on their use. At the same time, the US EPA was sued by a beekeepers, organic farmers and environmentalists attempting to overturn the pesticides registration. The European Food Safety Authority had already claimed that they were an unacceptably high risk to bees. It hit the headlines in Britain at the beginning of April. The Environmental Audit Committee (EAC) published the results of its exhaustive study of pollinators and pesticides. Parliament’s Select Committees have become increasingly assertive, and influential, since MPs took control of their membership from the Government. They delivered a stinging condemnation of DEFRA’s failure to support the European Commission’s proposal for a partial moratorium on their use. They were also at pains to point out that neonicitinoids were ‘not fundamental to the economic or agricultural viability of UK farming’. Not surprisingly, the chemical industry has been equally robust in its response. Syngenta argued that ‘a ban wouldn’t save a single hive’. Bayer ‘strongly disagree with the proposed moratorium’ asserting that ‘There has been a long history of safe use of neonicitinoid insecticides.’ It was not very clear whether they meant safe for humans or safe for bees – they are clearly not safe for a lot of other insects. DEFRA, in defence of its position, characterised as ‘complacent’ by the EAC, has commissioned its own research into the effect of neonicitinoids on bees. To no-one’s surprise its risk assessment finds that action should await further research. The public can be forgiven for being confused. The chemical industry says they are safe, environmentalists say they are not. Some governments think a moratorium should be adopted now. Others, including our own, say that such action is premature. Everyone cites science in support of their position. The only thing that everyone seems to agree on is that there is a need for more research. 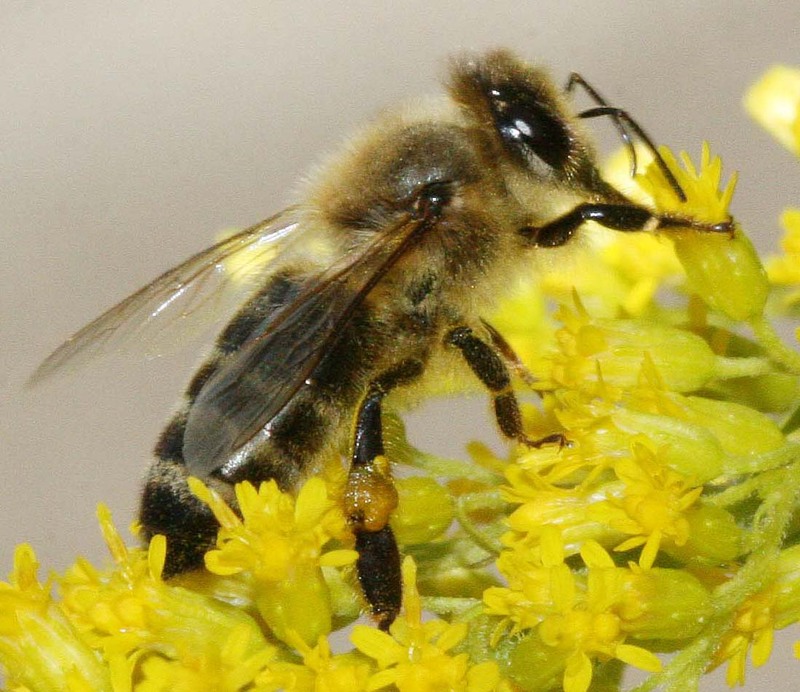 Bayer and Syngenta have launched a Bee Action Plan. It calls for a field monitoring programme and investment in research on the main factors determining bee health. FoE also have a Bee Action Plan. This, too, calls for research and monitoring. DEFRA completed its research into the field condition impacts but that has already been dismissed by the EAC as ‘flawed’. Here’s the rub. None of the parties is willing to accept the findings of research carried out by the other parties. The companies are also unwilling to make public all the findings of their research. The old mantra of commercial confidentiality is wheeled out to defend this position. Perhaps it is a genuine concern but in the wake of the horrors the tobacco industry hid under this umbrella it unlikely to reassure anyone. This is an all too familiar impasse. It has dogged efforts to arrive at a robust evidence base for public policy on a vast range of issues from lead in petrol to oestrogen mimics. The result is battles that are fought and won (or lost ) in the headlines and courtrooms rather than in laboratories and meeting rooms. Both investment and protection of health and the environment are delayed or diverted. Public confidence in science and politics is undermined. Everyone loses. It is time we found a better way to engage science more effectively in these public policy debates. We should start on the assumption that everyone is acting in good faith. There is a well known quotation from the bible about the people perishing where there is no vision. It is the same with trust. Without it effective action to protect both crops and insects becomes impossible. We will only solve the problem of bees and neonicitinoids if there is a high level of trust in the findings of research by all of the parties to the debate. This cannot happen if each party owns its own research effort. It is now time that the chemical industry, environmentalists and government sat around the same table thrashed out a joint definition of the scope and protocols of the research they all want done. That way, they will all own the outcome and the public can have some confidence that it represents the best available science.